bap. 24 May 1765,1 3rd s. of William Sotheron (d. 1789) of Darrington Hall, Yorks. and Sarah, da. and h. of Samuel Savile and Elizabeth, da. and coh. of Robert Frank† of Pontefract; bro. of William Sotheron†. m. (1) 6 Oct. 1808, Caroline Matilda (d. 29 May 1812), da. and coh. of Thomas Barker of Potters Newton, Yorks., 1da. ; (2) 13 Nov. 1813, Jane, da. of Wilson (Gale) Braddyll† of Conishead Priory, Lancs., s.p. suc. bro. William 1806 and took name of Frank until 1818 when he resumed name of Sotheron. d. 7 Feb. 1839. Midshipman RN 1776, lt. 1783, cdr. 1792, capt. 1793, r.-adm. 1811, v.-adm. 1819, adm. 1830. During the following February and March he presented numerous Nottinghamshire petitions calling for agricultural protection, and he duly voted against the corn bill, 2 Apr. 1827.13 He divided against Catholic relief, 6 Mar., and presented the hostile Nottingham petition, 6 Apr. He voted against the disfranchisement of Penryn, 28 May, and brought up East Retford’s petition against the loss of its own seats, 18 June 1827.14 He divided against repeal of the Test Acts, 26 Feb., and Catholic relief, 12 May 1828. He voted with the Wellington ministry against reduction of the salary of the lieutenant-general of the ordnance, 4 July. Believing that an anti-Catholic county meeting would be counter-productive, he refused Newcastle’s request to initiate one in Nottinghamshire in December 1828, arguing that ‘it would not accord with the professions repeatedly made at my election of being always ready to receive the instructions of my constituents but not to anticipate them’.15 Listed by Planta, the patronage secretary, as ‘opposed to the principle’ of emancipation, he was indefatigable in presenting Nottinghamshire anti-Catholic petitions early the following session, angrily vindicating the validity of their signatures, 9, 20 Mar. 1829; he voted steadily against emancipation that month. Later that year the Ultra leader, Sir Richard Vyvyan*, included him among the ‘Tories strongly opposed to the present government’. He voted against transferring East Retford’s seats to Birmingham, 11 Feb., and the enfranchisement of Birmingham, Leeds and Manchester, 23 Feb. 1830. He presented his county’s petition complaining of agricultural distress, 23 Mar. He divided against Jewish emancipation, 5 Apr., 17 May. He voted for the South American consular services’ grant and against abolishing the death penalty for forgery, 7 June 1830. 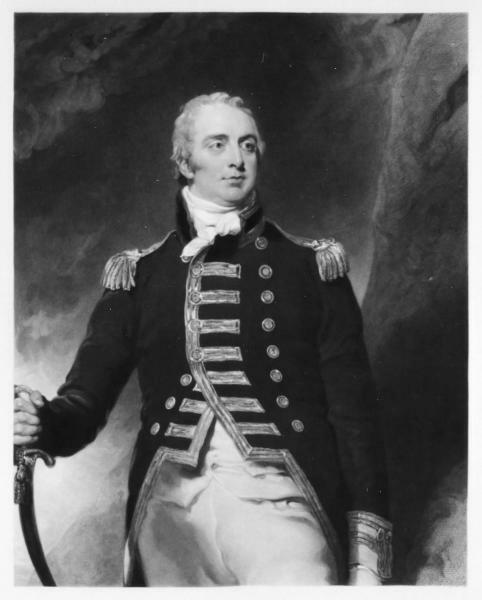 Sotheron, who became a full admiral that year, was again returned unopposed at the general election of 1830, after Denison was persuaded, at the prompting of him and others, to avoid provoking a bitter contest.16 On the hustings, he insisted that he remained independent and undertook, in relation to parliamentary reform, that ‘if he was convinced more than he was at present, he would freely own his conviction’.17 His Southwell agent, the Rev. John Thomas Becher, who had already urged him to retire in the face of growing discontent with him, warned him of his constituents’ increasing support for reform that winter.18 Although ministers listed him among their ‘friends’, Robert Peel, the home secretary, believed that he would side with opposition on its proposed reform motion in November 1830. He duly voted against government on the 15th, in the prior division on the civil list, which led to its resignation.19 In March 1831 it was surmised that he would vote for the Grey ministry’s reform bill out of fear, not affection for the new government.20 Following the Nottinghamshire reform meeting that month, he told Newcastle that he would indeed do so, but would then resign his seat. The duke, a rabid anti-reformer, condemned this as inconsistent and recorded that ‘it is miserable to see so much want of character and firmness, and such a total blindness to future consequences’.21 However, speaking in the debate on the second reading, 22 Mar., Sotheron explained that he had fully intended to follow his constituents in giving it his support, but that, alluding to Sir Edward Sugden’s speech, ‘after hearing the debate, I cannot in my conscience do it’. He acknowledged that this would anger the electors, but declared that ‘I cannot vote for this bill’, and, having made ‘an extraordinary impression upon the House’, duly divided in the minority against it. 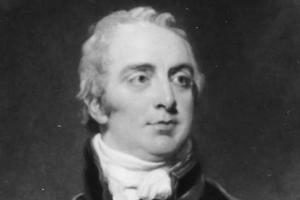 The minister Thomas Spring Rice* regretted that ‘Sotheron has struck his reform flag’, while the Tory Charles Arbuthnot* counted him among those who ‘have expressed themselves as breast high with us’.22 His defection, which Lord Grey had feared, ‘gave token of desertion’ by other country gentlemen.23 He was praised for his conscientious vote by a moderate Nottinghamshire reformer, to whom he replied that ‘I thought it more honourable for a man in my situation to vote against the second reading than to fritter away the bill in the committee; it must be almost remodelled even if the ministers carry it’.24 He apparently did not vote in the division on Gascoyne’s wrecking amendment, 19 Apr. 1831. 2. Burke Commoners, iii. 520-1; HP Commons, 1790-1820, iii. 828-9. 3. Nottingham Jnl. 11 Mar. ; Nottingham Rev. 21 Mar. ; Nottingham Univ. Lib. Ossington mss, J. to J.E. Denison, 17 Mar. 1820; Glos. RO, Sotheron Estcourt mss D1571 F732, 733. 4. Black Bk. (1823), 194; Session of Parl. 1825, p. 485. 5. The Times, 14 June 1820. 6. Ibid. 11, 15 Feb., 16 Apr. 1823. 7. Ibid. 29 Apr. 1825. 8. Notts. Archives, Tallents mss, Sotheron to Tallents, 13, 15 May 1826. 9. Unhappy Reactionary ed. R.A. Gaunt (Thoroton Soc. rec. ser. xliii), 44. 10. Nottingham Rev. 16 June 1826. 11. Nottingham Univ. Lib. Acc. 636, Denison diary, 28 July 1826. 12. Sotheron Estcourt mss F789; Unhappy Reactionary, 13, 52, 184. 13. The Times, 20, 22, 27, 28 Feb., 24 Mar. 1827. 14. Ibid. 19 June 1827. 15. Sotheron Estcourt mss F792, Newcastle to Sotheron, 11 Dec., reply, 13 Dec. 1828. 16. Ibid. F793, Denison to Sotheron, 6 July; Denison diary, 26 June 1830. 17. Nottingham and Newark Mercury, 7 Aug. 1830. 18. Sotheron Estcourt mss F793, Becher to Sotheron, 6 May 1831. 19. Ellenborough Diary, ii. 432. 20. Borthwick, Halifax archive, C. to F.L. Wood, 12 Mar. 1831. 22. Ibid. ; Add. 51573, Rice to Lady Holland [22 Mar. 1831]; BL, Herries mss, Arbuthnot to Herries, n.d.
23. M. Brock, Great Reform Act, 175-6; Baring Jnls. i. 84; Three Diaries, 71. 24. Sotheron Estcourt mss F793, Wright to Sotheron, 26 Mar., reply, 28 Mar. 1831. 25. Ibid. Wilkins to Sotheron, 31 Mar., address, 22 Apr., Becher to same, 23, 26 Apr., 1, 4-6, 9 May 1831. 26. Lincoln, Rutland and Stamford Mercury, 6 May 1831. 27. Sotheron Estcourt mss F793. 28. Nottingham Rev. 15, 22 Feb., 1 Mar. 1839; Gent. Mag. (1839), i. 655-6.